Mercy Multiplied residents got their hands dirty with community leader Mona Bass as they served at St. James Episcopal Church Community Garden, in Lincoln, California. Bass oversees the garden, as well the church’s community clothing drive. The residents enjoyed tending the garden and sorting clothing as an opportunity to give back to the Lincoln community that is home to Mercy’s California residence. 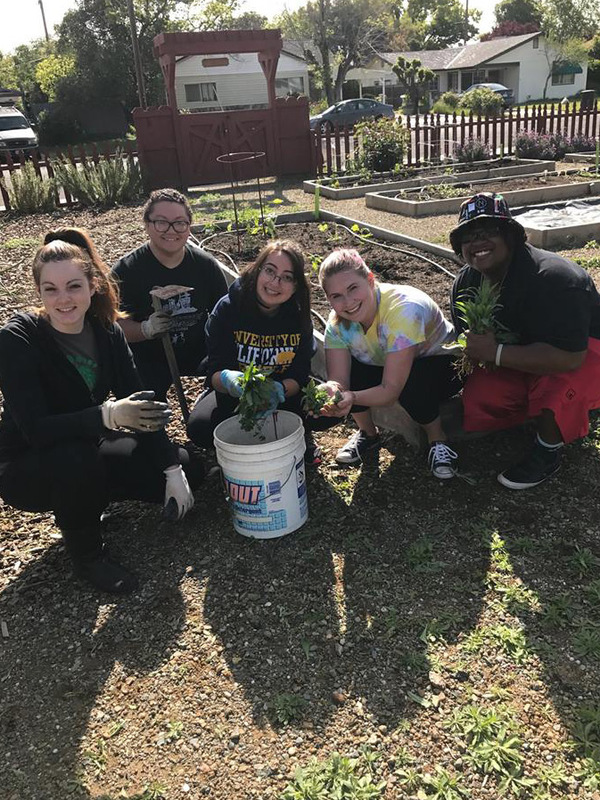 In the past few years, Mercy residents have also regularly volunteered at Bass’ Fox Lane Garden to help plant and tend produce that is eventually donated to Placer County Food Bank. “I always love working with Mona because of the serving heart that she has. It is infectious and overflowing. Her heart really shows me what it looks like to have a real life that is full of growth, literally and figuratively. 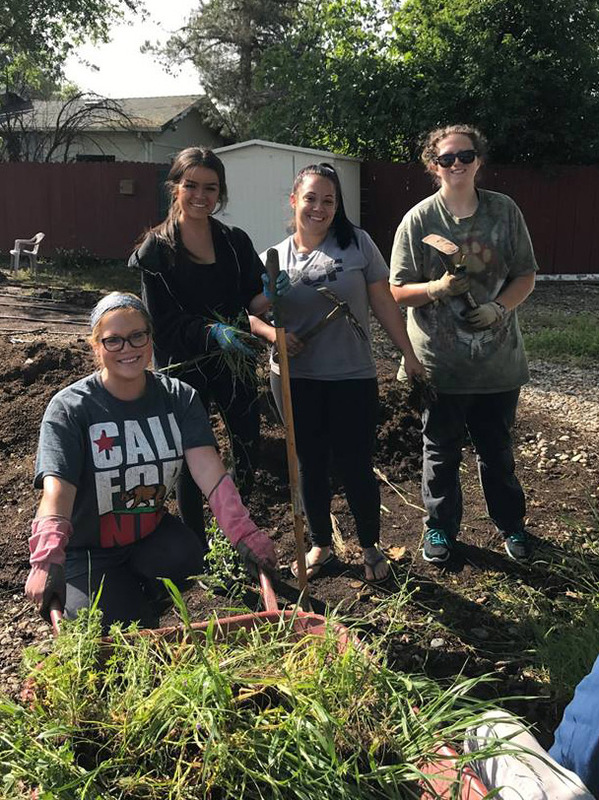 There’s something so special in that, that God gives us joy in the dirt when no one else wants to get their hands dirty,” said Mercy resident, Kailey. “This is a beautiful experience. Before this event seemed like a chore, but it is something beautiful. Picking weeds with bare hands, finding worms, all that fun stuff, and the memories. God’s kingdom, the nature He created – I love it,” said Mercy resident, Jade. “Mona has taught me important life skills and life lessons at the garden. 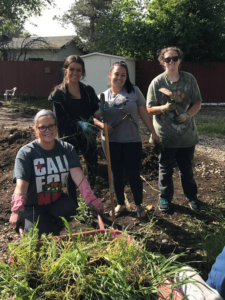 The hard work of pulling weeds out results in a beautiful garden, just like hard like hard work of pulling weeds out of my life here at Mercy, results in a beautiful new me!” said Mercy resident, Kendall. 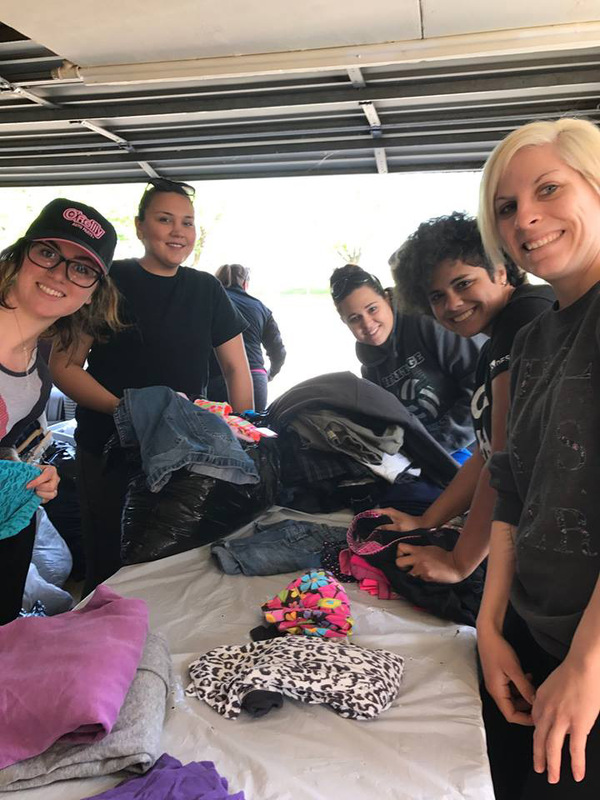 Mercy residents teamed up to fold clothes. “I sorted clothes, and it was really fun working with the other girls as a team to get everything started and done. It really helped build communication skills and teamwork!” said Mercy resident, Jessica. “It was so amazing and touching to see all the clothes donated. 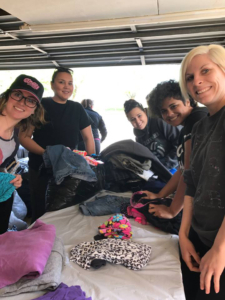 To be a part of helping sort and box them was so rewarding – to know children, women, and men will have nice clothes,” said Mercy resident, Rebecca. “Something that Mona said today that I am taking away is: our job is to love people freely,” said Mercy resident, Megan. “Today was a really cool experience overall. I just liked being able to get involved in the community and give back. It’s an awesome feeling to bless others when we are so blessed ourselves,” said Mercy resident, Jena. Mercy staff and residents gathered at the end of the service project and prayed for Bass, the mission and heritage of the garden project, as well as the church.